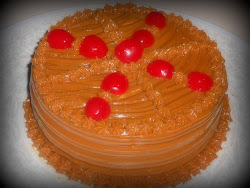 Vanilla cake with Dulce de Leche (Caramel, Arequipe) filing, covered and decorated with fondant. 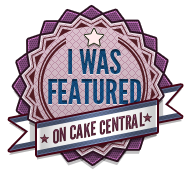 The top of the cake is a sugar plaque drawn and painted by hand. Everything in this cake is edible.